The CNB Foundation recently presented a donation to Nancy Pinto of the Clearfield Area United Way. The donation was from funds raised at the foundation’s annual Charity Golf Outing that’s held in June at Treasure Lake. Shown, from left, are: Joe Bower, CNB Bank president and chief executive officer, Carolyn Smeal, Pinto, Eileen Ryan, Greg Dixon and Amy Potter. 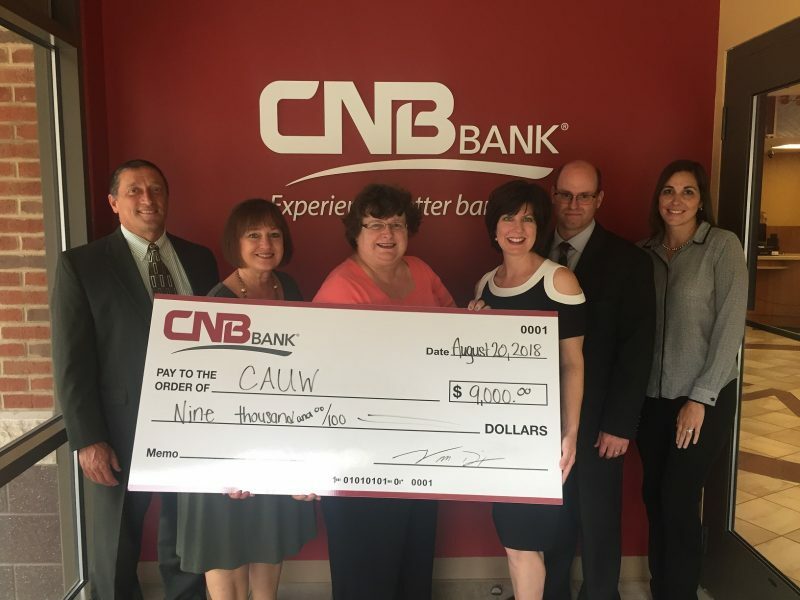 “We are beyond thrilled that CNB chose United Way as a recipient and we thank them for their generosity as they continue to partner with United Way,” said Wilson Fisher, CAWU board member.